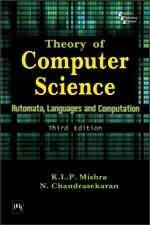 Today I started a Series of Notes on the topic Theory of Computer science it also known as Automata Theory or Theory of computation. This is the first lecture on this topic. But I tried hard to write this post because this topic is the toughest one So,if any one find any error then please inform me via comment. In future I also start the video series on it still I am working on it. You can get the other Notes on my Student Zone page.